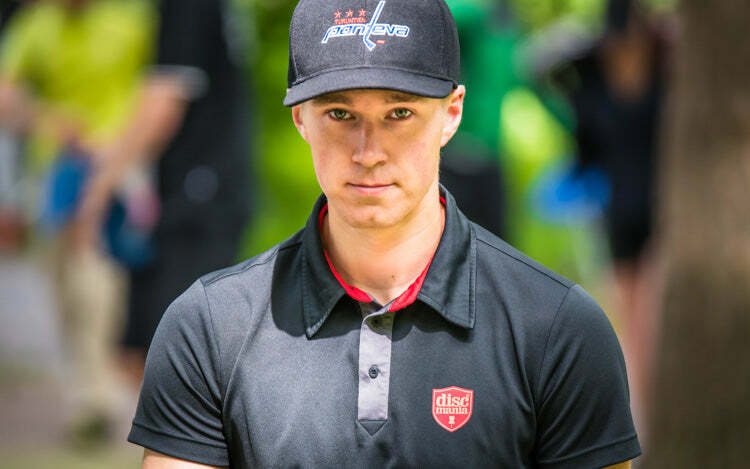 Team Discmania’s Juho Vähätalo is another disc golfer with a bright future ahead of him. 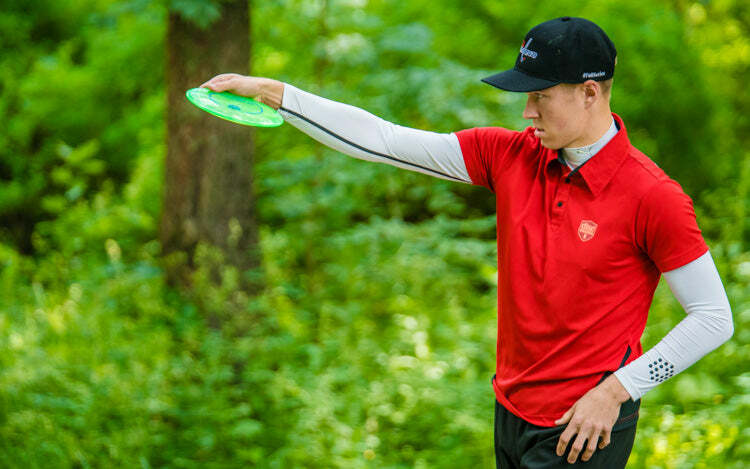 Just 22 years old, Vähätalo is balancing disc golf with an education to set him up for the future. While he has a touring schedule planned for around Europe, he is also playing a key role in running a number of premier European disc golf events. Between his studies and a little disc golf practice, we talked with Vähätalo about the 2018 season. Who is Juho Vähätalo outside the disc golf courses? Entrepreneur, business student, boyfriend, friend, floorball player, golfer, coach. I’m a 22-year-old living in Tampere, Finland. I spend my days by studying entrepreneurship and playing all kinds of sports. You found disc golf in 2009… How did that happen? It was a sports camp in Nokia, where we had a little disc golf introduction. The next week I bought my first two discs (DX Aviar and Pro Beast) and started to practice with other juniors from Nokia. It didn’t take long to realize that I want to compete against others, so pretty soon I started to play in our local weeklies. What’s the best thing about disc golf for you? Is it still the same thing as it was 5-8 years ago or has it changed? Competing and succeeding has driven me forward from the very beginning. Quite soon I figured that traveling and touring with old and new friends was actually a thing I enjoyed at least as much as competing. Coaching and getting new people excited about disc golf might be the best thing for me nowadays. Juho's passion for disc golf has taken a bit different shape in the last few years. Photo: Eino Ansio. What’s your most memorable moment in disc golf? Every trip, every win, every loss, every person met during the years. My biggest achievement is Finnish Junior Championship in 2012. It was a special moment because the competition took place in my home town, Nokia. One of the most memorable moments was when I practiced systematically through the long winter season. I played a 1069-rated round in the first competition of the year. I played in the MA2 division, I was 16-year-old, and there was snow on the ground, haha. That is something I’m proud of! You’ve played a bit less during the last few years but you’re still actively involved in disc golf. Yeah that’s true! I’ve been focusing on organizing events. I’ve hosted few unofficial events and last year I ran Discmania Monthlies, a series in Finland. What have you been up to? What have you planned for this year? I got a great opportunity to take the next step as event organizer and this year you can find me working with the European Amateur Open. I’ll also host multiple events with Team Discmania and Team Innova superstars during summer. I’m also up to take the next step on my disc golf coaching career. I want to share my skills and knowledge by coaching individuals and groups. Stay tuned for further info! What events are in your schedule for 2018 as a player? I’ll start my season in Jämikeskus Open at early May. My two largest events will be Finnish Nationals and Nokia Open (Euro Tour). I usually play few smaller events on the courses I like the most. After 7 years of studying the Beast as a player Juho is now part of the core staff putting together another premiere event on the famed course. Photo: Eino Ansio. This is tough one. There’s a lot of good projects, trips, sport events, weddings, and other enjoyable moments I’m enthusiastically waiting for. Absolutely! I have fallen in love with S-line DD. I can do basically anything with them when I need to throw far. Works perfectly with backhand and forehand shots.